Ever since Google started focusing on design, its flagship product Android has become one of the biggest names in the industry. Earlier, it was Apple who was the frontrunner in terms of design, but soon Android caught up and disrupted the competition. That said, Android isn't yet the most beautiful phone OS around. Thanks to the ever-growing fragmentation and the plethora of customizations out there, the only thing that makes Android beautiful is its pure vanilla design that is found in Nexus 4. Otherwise, Android is still battling head-to-head with other superbly designed phone operating systems like Windows Phone and even Blackberry 10. 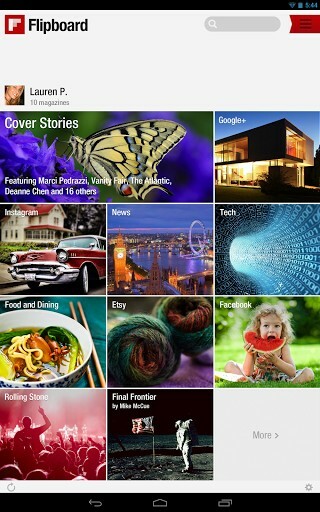 Flipboard is a free application that turns your smartphone or tablet into a beautiful magazine. Combining news, articles, and social media updates from multiple sources, this app is an amazing blend of old-school news consumption and modern-day social sharing. One of the most interesting features about Flipboard is that, unlike other applications, it doesn't have a HOLO-themed layout. Yet, it manages to stand out among the crowd with its carefully crafted design. My personal favorite, Feedly is a service that reached peak popularity when Google decided to shutter its news-reading service Google Reader. Bringing magazine-style articles to your desktop, mobile, and tablets, this service makes it easy to consume and share the latest happenings on and around the Internet. 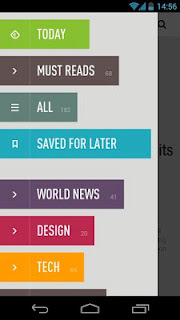 Once installed, Feedly lets you read news in a neatly spaced, clean layout that will definitely make any iOS fan jealous of your phone. Many times we come across articles that we don't have time to read. 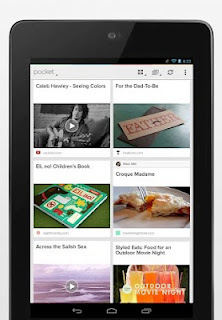 Instead of wasting time skimming through them in a rush, Pocket lets you save those for reading later. Designed using the HOLO layout, Pocket presents your unread article in a neatly organized layout. 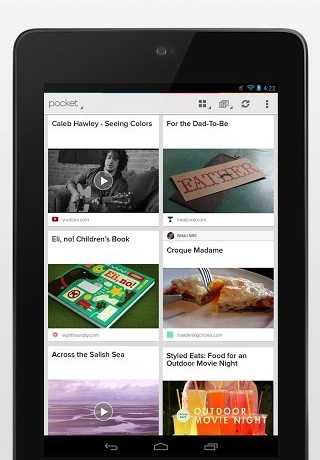 Instead of presenting your unread articles in a list -- which many apps do, -- Pocket gives you a visual view of all your unread stuff be it on videos or articles. 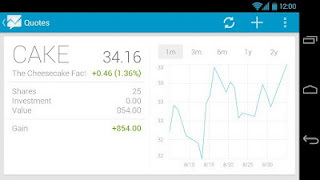 Quotes is a free application that lets you track your investments in a beautiful HOLO-themed layout. 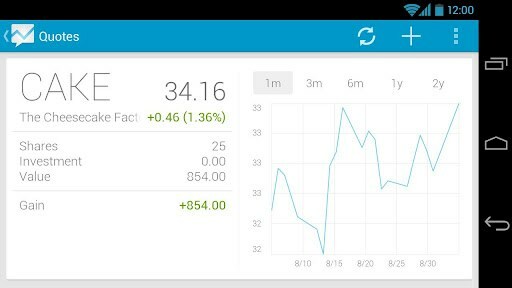 Focusing on visually representation of data, Quotes makes it easy for you to quickly glance at your portfolios. 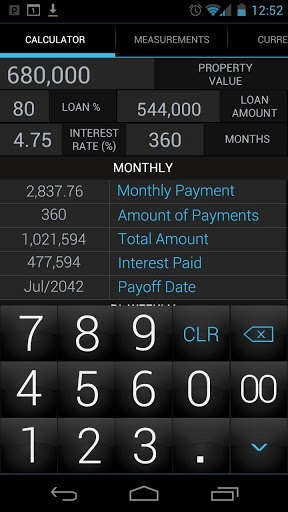 If you're a hardworking engineer who finds it hard to carry around a calculator all the time, this next app might come in handy. 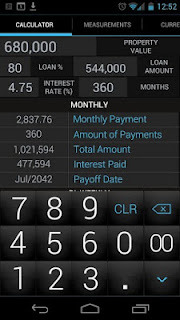 Designed to near perfection, Calculator & Converter, does what its name suggests: it lets you calculate, convert currency, convert units of measurement, calculate mortgage, and even calculate tips. What stands out, though, is the neat, big, bright HOLO-themed layout. 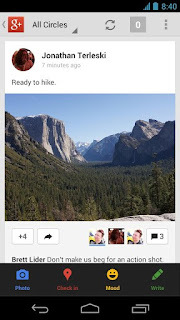 We've talked a lot about Google Plus in the past. This social network is known for its high level of engagement, strong focus on photos, and seamless integration with other Google Products. The Google Plus app for Android brings all those features to your smartphone and more in a gorgeously designed application. The Google Plus app, once installed, will let you browse your Plus feed in a layout that only a few applications can match. Once again, well done Google. Any.do is a TODO application that I personally use to get things done. One of the best things that I found about this application is that it lets me add my tasks in a nice, clean, HOLO-themed layout. This makes it stand apart from other applications like Astrid (now a Yahoo! product) and Remember the Milk!. 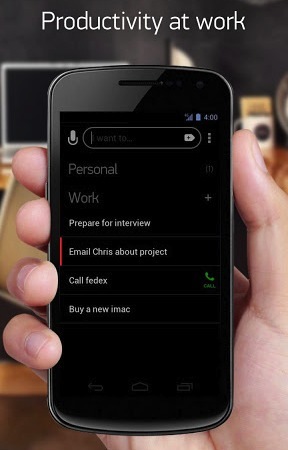 Once installed, you'll be able to plan your day, add calls as tasks, and even sync them with an online account.